March was a really tough month. It had a lot of ups and downs? Most notably was my mental health. It started out great, got worse, and then kind of got to a “meh” position again. But there were also little things scattered throughout it that made it more bearable!!! It was also the month that 1) I blogged WAAAAY less (and it was so so relaxing omg) and 2) a lot of things happened. Just like, in general. In life, in reading, and so much more. So I read 8 books this month!! One was a webcomic, one a novella, and two were rereads!! I’m so good at this reading thing!!!! In better news, this month I actually BOUGHT a book with my own money (actually it was from a gift card so technically not my money but the gift card was given to ME so it’s pretty much mine now!! ), received an ARC of one of my most anticipated 2018 releases that wasn’t from a publisher, and also—the most exciting part—GOT A NEW BOOKSHELF!!! 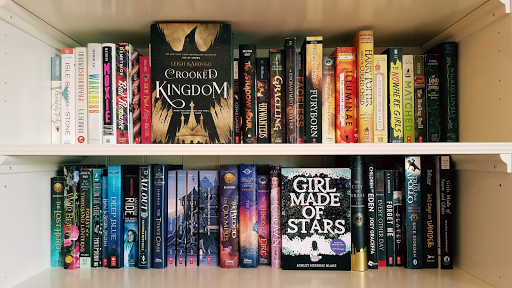 This month, I bought All Out, one of my most anticipated releases for 2018 (and I definitely do not regret it). 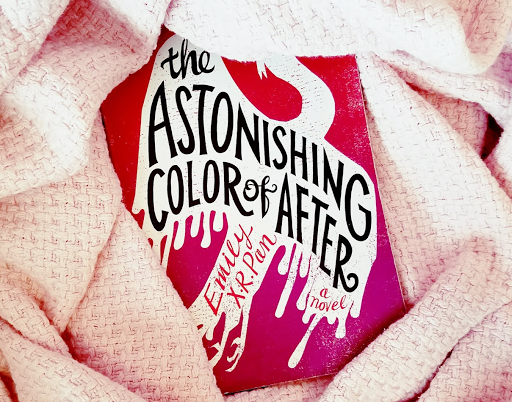 I also received The Astonishing Color of After, thanks to Ilsa, Jackie, and Ju trying to win it in a giveaway for me, Ilsa catching the attention of the lovely Lili, who got her friend to send her ARC to me!! I also!! GOT A NEW BOOKSHELF!!! It’s very pretty and I like it much more than my old one, which was just a hutch above my desk. And before I got the bookshelf, I was having multiple breakdowns each night, but then after I got it, I was completely fine and I was just overall very happy!!! 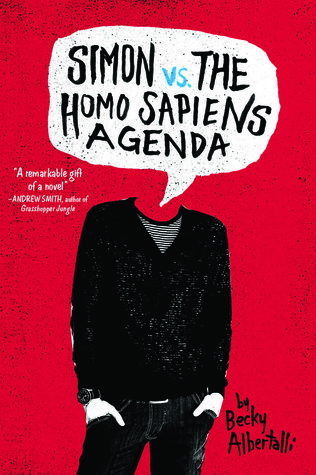 Simon Vs. the Homo Sapiens Agenda, 100%. 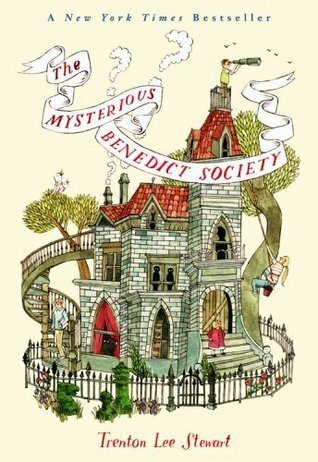 Mysterious Benedict Society is more of a nostalgic five stars, All Out is technically supposed to be four stars, and again, I barely read webcomics and have no idea how to “correctly” rate them. (This is me justifying why I’m not choosing my other 5-star reads.) And also, this book means so so much to me and I just LOVE IT. 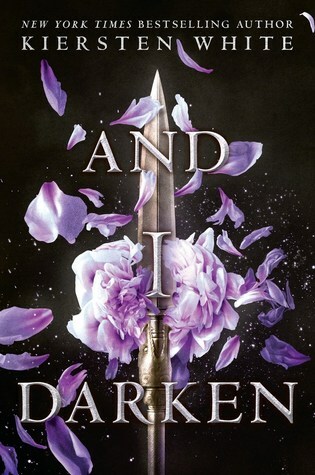 Okay, while Furyborn was a really big disappointment for me, especially with all the good reviews at first PLUS the promise of bi rep, but… And I Darken was an even bigger disappointment?? I mean, I should know better than to expect to love a historical fiction book by now, but all my friends loved it. It was gay. I thought I would love it too. AND I DID NOT. 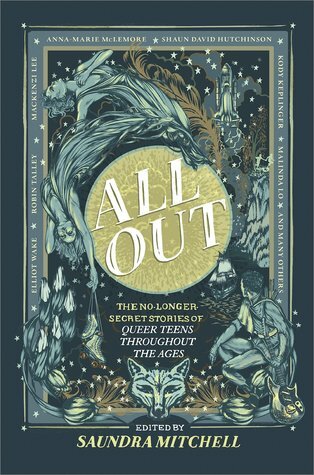 My favorite review I wrote this month probably had to be for All Out, and not for really any reason?? Like I’m just proud of it??? It’s formatted Professionally I guess. I don’t know. I LIKE IT. So I blogged WAY less than I normally do. Like a lot less. This was because I was trying to be aware of my mental health and cut out stress from blogging!!! And I can’t decide if this actually helped?? Because I had so much free time (especially over Spring Break) and I really didn’t do anything, which 1) caused a vicious cycle of regret and self-hatred and feeling drained and then continuing to do nothing because I was drained, and 2) allowed time for Bad Thoughts. So maybe if I’d been blogging, I might’ve been more distracted?? But I mean, if I’d been blogging, I would’ve ended up hating it more and more because there were times where I just did not want to blog. My favorite post also happened to be this one! It was really interesting to see everyone’s comments on that, because I loved finding out about how others saw this issue! It was also a lot of fun to rant about things. As always. Y’all I literally accomplished NOTHING this month with writing. I actually had the motivation to write, which doesn’t happen often, and I wanted to write!! A lot!!! But then 1) I got distracted by other things, or 2) I… had no inspiration. None. So the main thing that I wanted to work on this month was plotting my WIP and developing my characters so that I could outline it for Camp NaNo. Well guess who still has no plot!!! I’m going to try to attempt plotting/outlining for Camp NaNo this month, but between school exams and my very unpredictable mental health, I have no idea how much I’ll be able to accomplish!! UPDATE: It’s April 4th and I have written nothing. Absolutely nothing. I was able to complete a 4K-word short story tho! My literal only motivation for that was that I was entering it for a writing contest, and if I won the writing contest, I would get money. I have no shame. Anyways I really liked how the short story turned out! It’s about a girl named Ash(a) who has depression, a tree lady named Kiri, and it’s very simple but meaningful. It also used to feature a Vine reference about croissants that I sadly had to delete. So I explained a little about what went on with my mental health in the blogging section (concerning the Vicious Cycle), but basically, it got to the point where I was having multiple breakdowns that involved crying each night for three nights, and it was just… uncontrollable. There were also some other things made worse by my anxiety & social anxiety, but yeah. Basically lots of emotional fragility!! Y’all, this movie means the literal WORLD to me. I love it SO SO much and I’ve seen it three times already. I felt so represented as a queer person, even tho I don’t identify as a white gay male, because there were so many parts of Simon’s story I could see myself in. And some of the words said to/by Simon about being gay and coming out really resonated with me. I shed lots and lots of tears. IT’S SO GOOD IT’S SO GOOD PLEASE GO SEE IT IF YOU HAVEN’T THREE TIMES IS A BIG DEAL AND I CRIED ALL THREE TIMES I WENT AND SMILED AND LAUGHED AND IT WAS SUCH A CATHARTIC EXPERIENCE FJASLDFJALSDFSD. Speaking of music, I’ve been listening to more this month!! 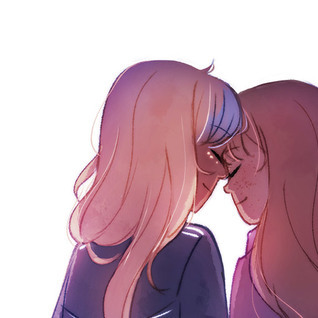 Listening to Lesbian Jesus Hayley Kiyoko really really helped me when I was having breakdowns or on the verge of one. Also!! 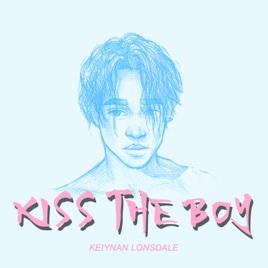 Her debut album Expectations is AMAZING and gay and I love it (as well as Keiynan Lonsdale’s Kiss the Boy)!!! And now to get a little serious: If you haven’t heard yet, there were about 4 package bombs/explosions in Austin, Texas. (And another down south.) Google is your friend if you want to know more, but basically, I live really close to Austin. We didn’t know if they might leave some package bombs in my area. The serial bomber died on March 21, nineteen days after the first package exploded. 2 were killed and several others were injured. The sad thing is that it didn’t get much publicity in the US, most likely because: There was no information on the race of the bomber at first, and the victims were people of color. The bomber turned out to be white. And yet, if it were a person of color, hurting white people… you probably would be seeing more of this in the news. To end on a better note: I had a dance show that lasted all day and I’m sore and achy and tired but it was very fun and full of lots of sentimental sappy things and I LOVED IT!! reach 1,220 followers ✓ (I am… so surprised people followed me this month?? when I posted like four times??? School state exams!! Texas always has the STAAR test around this time of year (April and May) so you can bet that I’ll be stressing out about those. I’ll be in a testing room for 4 hours, no talking, minimal eating, and feeling very sleepy. BUT. One of two activities I can do when I’m done is READ (the other option is nap) so maybe I can read a lot!??! Camp NaNo hopefully? The hopefully part is very big because I have no idea how my mental health will be this month, and I want to start getting into blogging regularly again. So that might mean writing gets pushed to the side. Howeverrrr I’m REALLY hoping that I’ll get a lot of planning done (at least in my head maybe?). Trying not to stress about the end of the year. End of the SCHOOL year, really. This is the last quarter and the last semester, finals are coming up in May*, and I am determined to end this year with all averages above 95. I’m pretty sure I’m going to be doing an unhealthy amount of stressing to achieve that. how was march for you? are you ready for summer vacation yet? are you participating in camp nano? have you listened to expectations or kiss the boy yet? HAVE YOU SEEN LOVE, SIMON YET???? take care of yourself, lovelies!!!! I’m sorry that March was a crummy month for you. I hope April will be better! And oh my goodness yes! Love, Simon! I dragged my Mum into the city with me to watch it (Probably at least an hour and a half drive each way…) because my local cinema wasn’t going to have it! And I am so glad I did because it was amazing! Oh, it’s terrible that March was so awful! But you’re so strong! I do hope April is MUCH better than the first quarter of the year. Also, Love Simon was so fantastic! I keep smiling about it because is was so lovely! I can’t wait till it comes out on DVD! But you did get so much reading done! That’s super impressive! I kind of have this goal of writing a historical fiction you’ll enjoy, haha! I enjoy historical fiction so much, though I know it can be super boring. The situation with the Austin bomber was so terrifying. I have friends in Austin, and I was so frightened for them. And frustrated at the lack of national coverage and how the police and media handled it. I’m glad you stayed safe! Summer break is almost here! You’ve got this!!! Aahh thank you so much! And OMG PLEASE WRITE A HISTORICAL FICTION I LOVE. MAKE IT GAY. And I think I used to like historical fic more? Don’t know what happened oops. And yeah, I know. I’m like 45 min away from downtown Austin and had no idea if the bomber would come to us? So that was scary. And I’m super frustrated that it didn’t make a lot of news because if the roles of white people/POC had been switched, it definitely would’ve been much bigger!!! Ah, yes, I want to write historical fiction so much! I actually wrote a whole post today about history I want to write into books. And yes, I want to make it diverse and queer and completely awesome. Oh yeah, I saw that post in my feed! 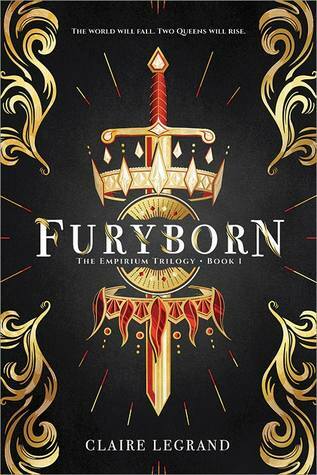 (Will read soon. 😉) YES diversity in historical fic is always beautiful and needed. I’m sorry March wasn’t a good month for you and I hope April will be better. I’m glad to hear you’re enjoying your break, though. And, OMG LOVE SIMON WAS SO AMAZING I SAW IT THREE TIMES AND I NEED TO SEE IT AGAIN AND I JUST WANT TO MAKE EVERYONE WATCH IT BECAUSE IT’S SO GOOD. I totally agree with that thing you say about connecting to the movie, even though you don’t identify as a white gay guy, because that’s exactly how I felt. Like I literally sobbed through half of the movie, and my friends didn’t understand whY AND I– I had to explain it to them, and that destroyed me, but it was fun. ALSO EXPECTATIONS IS SO GOOD AND I HAVE BEEN PLAYING KISS THE BOY ON REPEAT FOR LIKE A WEEK I LOVE IT SO MUCH!! It’s like the only thing I’ve been listening to as I draft (because I am Camp NaNoing this year, apparently, idk). and I cannot wait for summer break! Aww Mayyy :(. I want the sun and the stars and the moon in your world to align for you so you have an amazing april,, I command it to be becuase it is the month i share a name with!! I want to see Love, Simon so so so so bad. Everyone who has seen it has given it 11/10. Also, I have the STAAR test next week… *screams because wHY* And I heard about the bomb packages in Austin! I don’t live super close, but close enough that I was worried that it would happen where I am. Aaahh thank you so much, Olivia!! 💞 And YES AFTER YOU READ THE BOOK, GO SEE THE MOVIE IMMEDIATELY. It’s so worth it. I’d personally say to read the book first, but it honestly doesn’t matter because they have the perfect balance of similarities and differences! Okay! Thanks for the tip! Love Simon was so much better than I was expecting and I literally love it so much!!! Yeah it definitely had flaws (the ending was actually kind of exploitive imo) but it’s still a fav of mine. ❤ And aahh that sounds stressful but I’m glad you've settled in to your dorm!! 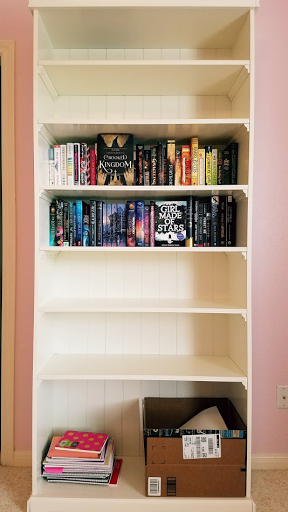 LOVE your new bookshelf! Like, it’s huge but it’s soooo pretty! You definitely need more books to fill it up though. Totally validates wanting free books and ordering books and simply begging people to buy you books. You have my support! Ugh, yup. Although I sometimes feel like I'm so.. ignorant when it comes to certain things. I guess I'm simply not easily harmed / hurt in any way when it comes to books. Maybe I'm simply too used to certain views that cause me to simply accept problematic things as normal? I don't know. Omg Always Human!!! I forgot about that webcomic! It’s so beautiful!!! i’m so sorry march wasn’t a great month for you and i wish you all the best in april!!!! love simon was AMAZING OMGGGGG i’m so glad i saw it and i already can’t wait to see it again!!!! Oh, I hope you've watched Love, Simon already (I think I read on your blog that you had but who knows, my memory can't be trusted 😅)!! It's absolutely amazing and I'm so glad that everyone else loved it! Also yay for getting The Astonishing Color of After, that's so amazing! I can't wait to read that one, I really hope you will love it. I'm glad you enjoyed Love, Simon! I can't wait to see it, I have to wait until the end of June, when it finally releases in my country, but I can't wait. YOUR SHELF IT IS SO VERY PRETTY I LOVE IT. LOVE SIMOOOOONNNNNN honestly same? i’m not gay, i’m bi… but i’m really glad it’s a movie. *sighs* I put “hopefully” on my Camp NaNo goal for this month, too, since my emotional state, like yours, has not been great and life is just roughhh. I hope you end up making your goal though (and that you start feeling better)!! 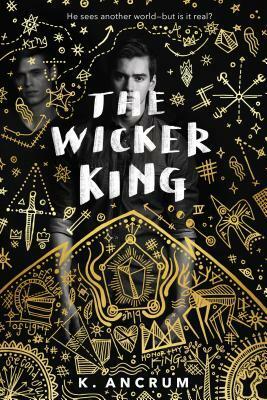 I’m glad you liked The Wicker King! I’ve been meaning to read it since it came out but have not gotten around to it. And that’s so disappointing about Furyborn! 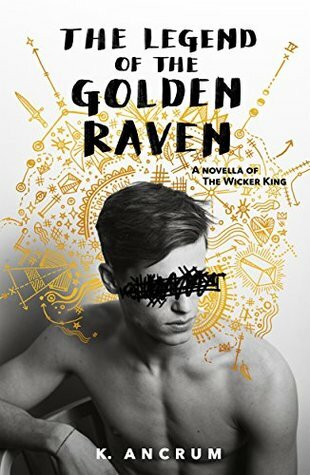 I’ve been on the fence about reading it but since it has bi rep maybe I’ll try it? But if it’s not good bi rep like you mentioned I’m going to be sad. Alas. You’ve read Always Human!? I love that webcomic, its amazing! I’m so sad it ended, I still want more. I’m probably going to re-read it sometime soon. AFTER IS SO PRETTY. I’m sad you put it on hold but I can’t wait until you return to it!! AND DUDE IM GETTING A NEW BOOKSHELF TOO ITS ARRIVING ON FRIDAY AND IM SO EXCITED!!! And your short story was SO beautiful I loved it! And good luck on school state exams but try not to stress!! (me acting as i don’t stress lmao) and you take care of yourself tooo ❤ Anyways I don't have much to say because I kinda forgot everything but uhhhh bye I guess? Oh no, I’m very sorry to hear that March was a really tough month for you 😦 I do hope things get better, even with exams on the horizon!